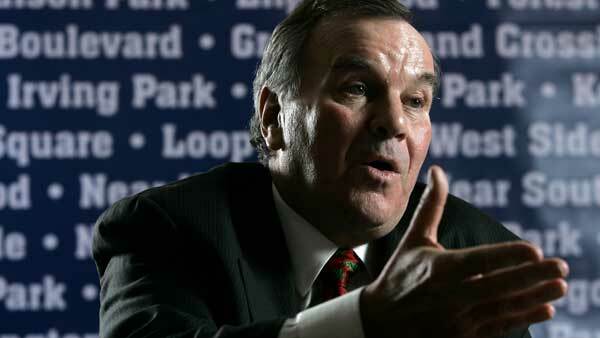 CHICAGO (WLS) -- Former Chicago mayor Richard M. Daley has canceled a speaking engagement at Calvin College on Wednesday due to health concerns, a college official said. This would have been Daley's first speaking engagement since he suffered a stroke in 2014. Daley will be replaced by John Linkner of Detroit Venture Partners in the school's January Series program. Linkner has been recognized as a driving force in Detroit's recovery. Kristi Potter, director of the January Series, said that the subject of Linkner's talk will parallel Daley's intended topic about what big cities need to do to keep from decay, and how they can reinvent themselves. Potter said school officials "are sorry (Daley's) health is not back to where he wished it would be at this point. We wish him well in his recovery."